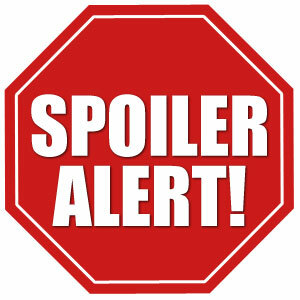 Don't read past this if you don't want the biggest news in comics this year spoiled!!!! Today in one of the best kept secrets in comic book history Donatello the beloved Teenage Mutant Ninja Turtle dies in a battle. Nobody and I mean nobody knew about this until today when the book came out. There are 4 covers. 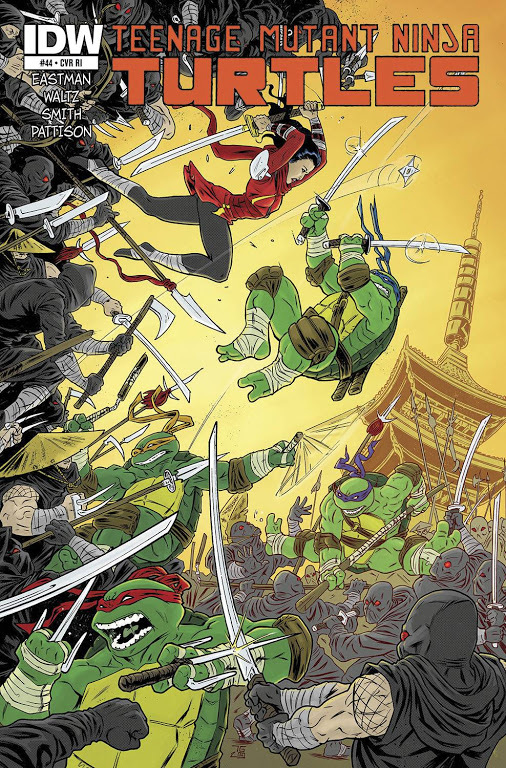 The one to buy is the Teenage Mutant Ninja Turtles Vol 5 #44 Cover C Incentive Tadd Galusha Variant Cover 1:10.. I honestly think this book will be a $50-100 book by weekend. Last month the print run was 14,000 so rougly based on that there should be less than 1,400 of the 1:10 variant pictured below in circulation. Not many stores order 10 copies of this book so keep that in mind. There are two regular connecting covers. The 4th cover not many people know about, but its from a West Virginia Comic Con coming up in April. Shoutout to Jimmy Linguini and his website comicbookscalping.com for reporting this first. April 8, 2015 Walking Dead, Saga, Descender & more!!! Great find! THAT WHAT Keeps Me Coming back! Donatello was always my least favorite Turtle. I’m thinking of all the turtles, Donnie is the most likely to have a clone of himself or a robot body ready to download that massive brain of his on standby just in case he met his end. I could dig a robot Donatello. It is listed between $50 and $100 on ebay but no one is buying, some people are watching. Just picked up the last copy at my LCS after I saw someone on the g+ group saying that it was selling out. My LCS guy knew that it was going for $30+ but let me have it for cover price. That dude is a GEM. Does anyone have any thoughts on timing for flipping? Looks like the (after)market might be saturated right now. I would watch closely and if the ones available now sell, definitely flip prior to the storyline progressing too far. My prediction… Metalhead or something similar as DataHead said above. I like the turtles since I bought the 2nd printing of #1 off the rack as a teenager when I first started collecting. I am keeping at least one for the PC. Im keeping one as well. 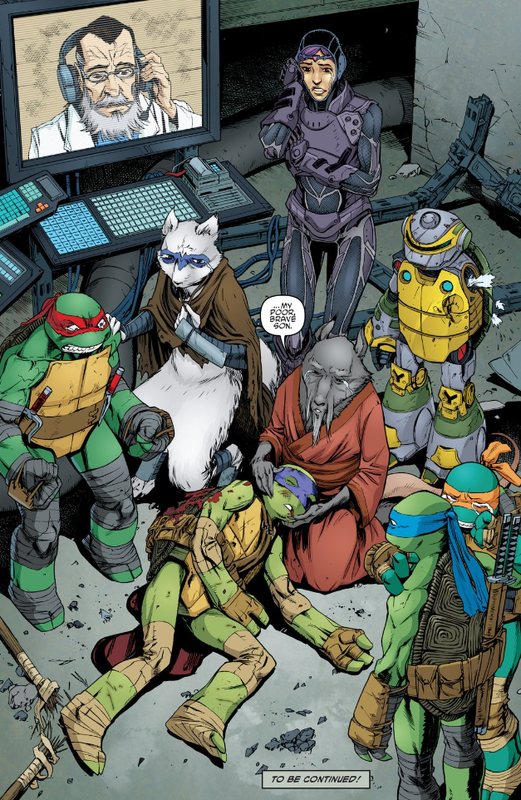 might be a good idea to flip your copies now guys, its been leaked online that in #55 donatello isnt in fact dead! take from that what you will but i think the prices will drop considerably once this becomes widespread!